I have a new Soap and Glory review for you today, this is a shower gel which I have only just recently stumbled across, and in my adventurous state of mind, picked it up to try something new. I say adventurous, because normally fruity shower gels really aren't my sort of thing; however I have been pleasantly surprised by this product. I have to admit, I was slightly unsure of the citrus smell when I first opened the bottle, however six weeks after making the purchase I have come round and now really like the smell. Packed with such zesty ingredients including Fresh Green Mandarin, Sicilian Lemon, and Sweet Orange Peel Oils and also containing Ginseng and Pinkpepperberry this shower gel is bound to revitalize your skin and is perfect for that first thing in the morning shower when you're still very sleepy and not with it- who needs caffeine? Aside from it's wonderful ingredients, it's also super nourishing for your skin and moisturizes your body whilst making you feel fresh, which is a huge bonus and means less time having plaster your skin with moisturiser after you've finished in the shower. This shower gel retails for £6.50- however I managed to get this for nothing as I used a Boots gift card. 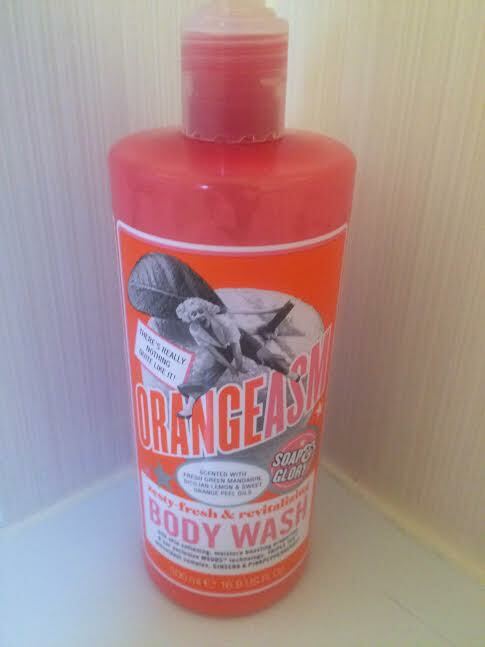 Thank you Soap and Glory, you have now changed my opinion on fruity smelling shower gels and have broadened my mind!